It’s July, you’re in Paris with your kids and it’s unbearably hot. I’ve been there, I grew up there, so I know … Paris is not always equipped to handle such crazy temperatures. After you’ve exhausted all the big museums and reached your limits with hoping from shop to ice cream parlour, you may want to try other “cool” places to take your little ones that generally don’t make it to the top 5 places to visit with kids. This is my list, in no particular order. If it’s hot outside, going underground seems like a good option. The fact that these walls are covered with human bones makes it all the more intriguing. The visit will take you through a labyrinth of dark and cramped passageways (with the name of the street that is above ground) covered with human bones recovered from the Cimetière des Innocents at the end of the 18th century. The bones were packed in an “artistic” way. As a result, there is no way of knowing whose bones belong to who. What we do know, is that the bones of Charles Perrault, author of Cinderella, Sleeping Beauty and Little Red Riding Hood, and those of Robespierre, one of the most feared politician during the French revolution, are there somewhere. Don’t expect anything like Hogwarts here. The museum showcases everything magic through the ages. You will discover with your kids how magic has been performed over the years and uncover some classical tricks. There are some very old accessories, optical illusions, decorated box for splitting people in half and more. Both kids and grown-ups with enjoy a visit which can be combined with the museum of automatons (the robots of old times). 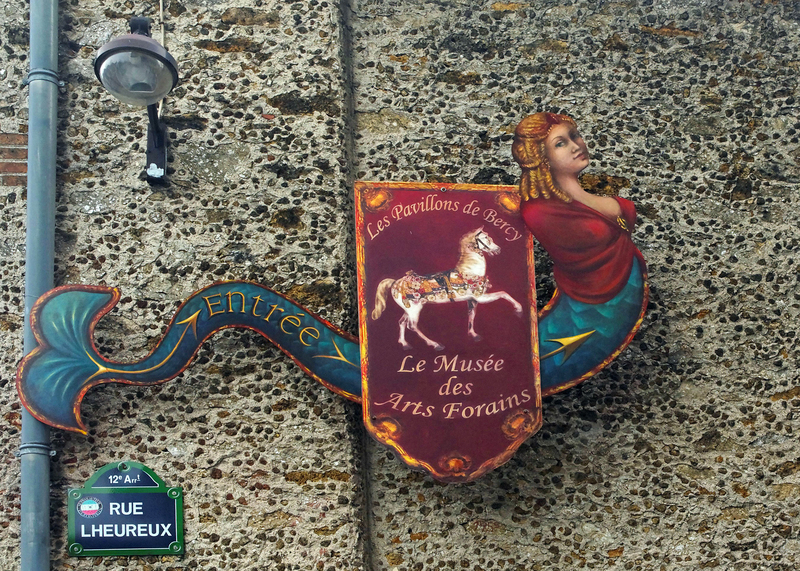 As a bonus, the museum is located in the Marais, right smack in the centre of Paris. 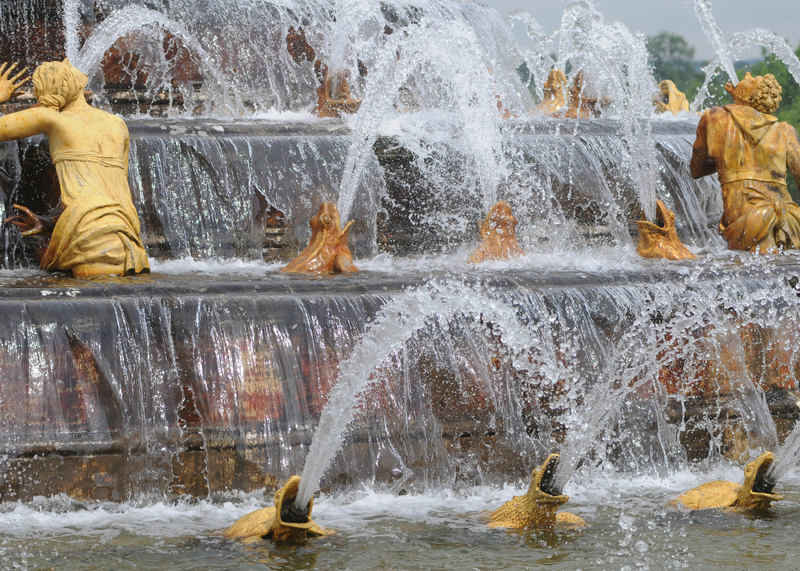 If you plan to see the Château de Versailles – and you should – try to schedule your visit on a day where the fountains are turned on. In the summer; the fountain shows are exclusively on Tuesdays, Saturdays and Sundays. For a different (and probably cooler) experience try the Night Fountain Show on Saturdays. You can turn this visit into a navigation game with your little ones. Give them the map and let them loose in the gardens. The game is for them to take you from fountain to fountain to the sound of Lully’s music. Your role is to follow, let them make mistakes and retrace their steps if that happens. 4. Doll Museum For doll lovers, big and small, a stop in the doll museum (Musée de la poupée) is a must. Located close to the Pompidou Centre, the museum has a permanent collection of dolls as old as 200 years. The special exhibition this summer focuses on “Becassine” a beloved character for French children, celebrating her 90 birthday. The dolls are arranged in windows with furniture and accessories from the same period so you can take a sneak peek at what life looked like in those days (at least in the eyes of doll makers). There is also a small doll shop where you can buy doll clothes, furniture and accessories in the “French style”. 5. Musée des Arts et Métiers Not conceived exclusively for kids, this museum will interest the whole family. 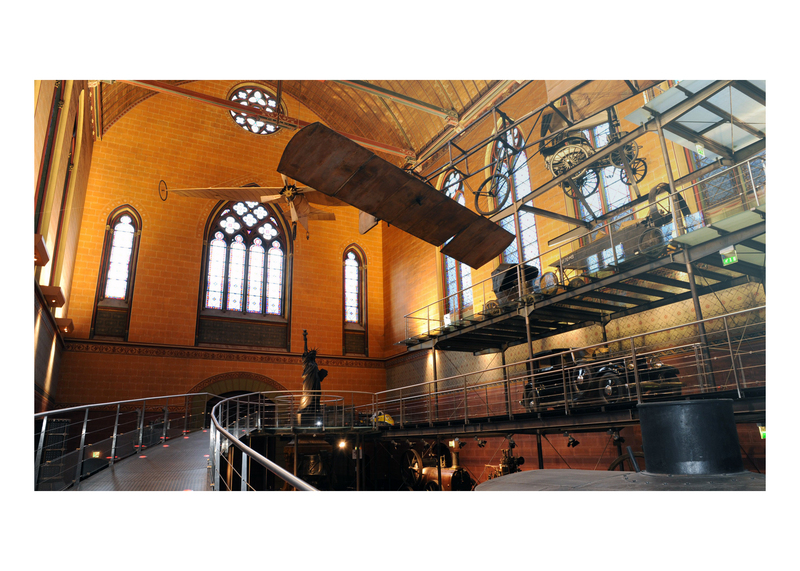 The Musée des Arts et Métiers focuses on instruments and machines throughout history. Located not too far from the Pompidou Centre, the museum displays objects in seven collections: Scientific instruments, Materials, Energy, Mechanics, Construction, Communication and Transport. From the invention of the printing press, the typewriter (try to explain to a kid how common typewriters were just a generation ago), the engine, to electricity and robotics, your kids will see objects that were great innovations of their time. Even the subway station sharing the name with the museum, “Arts et Métiers”, is a sight to behold and your kids will get a kick out of the gears on the ceiling on the platform. The museum is opened until 9:30 PM Thursdays and free after 6:00 PM. Remember that it’s still light at 9:30PM in Paris in July. 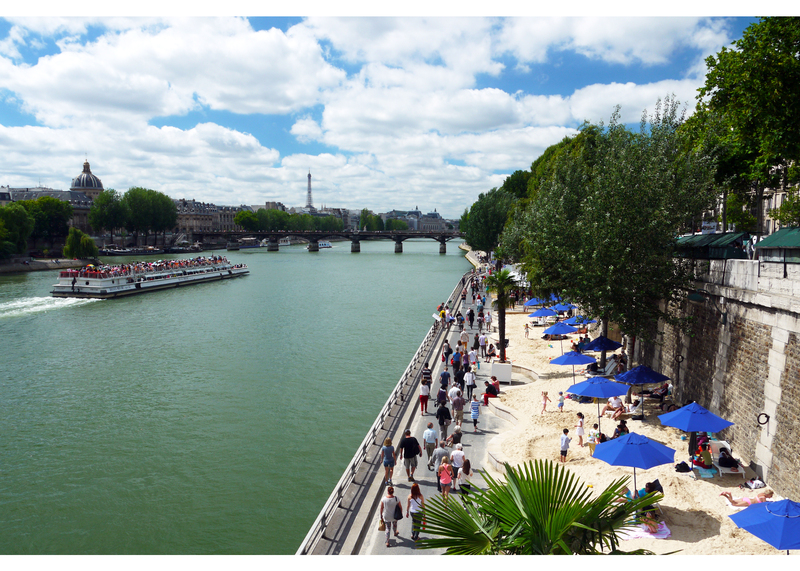 If you need a break from the museums and want to embrace the heat between mid-July to mid-August, the riverbank of the Seine turns into a beach with sand, lounge chairs, palm trees and ice cream parlours. There are several locations where you can enjoy the beach Paris has to offer but near the Bassin the la Villette, in the north of Paris, there are water activities such a kayaking, and rowing which are a welcome bonus in today’s weather. For sand only, try the riverbank on the left bank between Pont Neuf and Pont de Sully or the square in front of the City Hall. As another indoor activity during the summer until August 30, 2015, visit the Art of Brick. For the lego lovers, big and small, this show will take your breath away. The exhibition showcases around 100 pieces from American artist, Nathan Sawaya. You can see his reproduction of the Venus de Milo (you can see the original in the Louvre) and a giant T-rex among many other pieces built out of more than a million lego. Ok, this is another museum, but it’s the last one on my list for today. This special museum will take you and your kids to the world of fairgrounds. 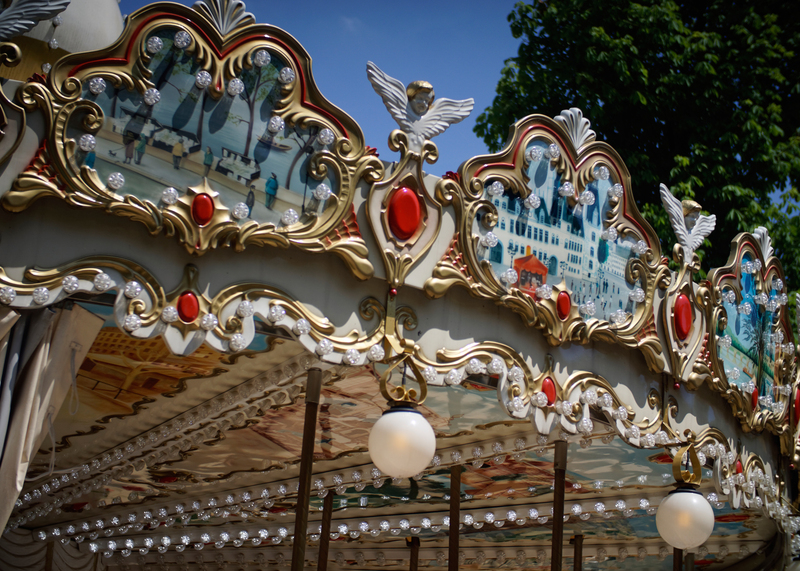 Whether it’s artefacts or old-time rides, the museum will enchant your children. A good alternative to the traditional Bateau-Mouche along the Seine, try the cruise on the Canal Saint Martin or the Canal de l’Ourcq. That boat ride can takes 2.5 hours. 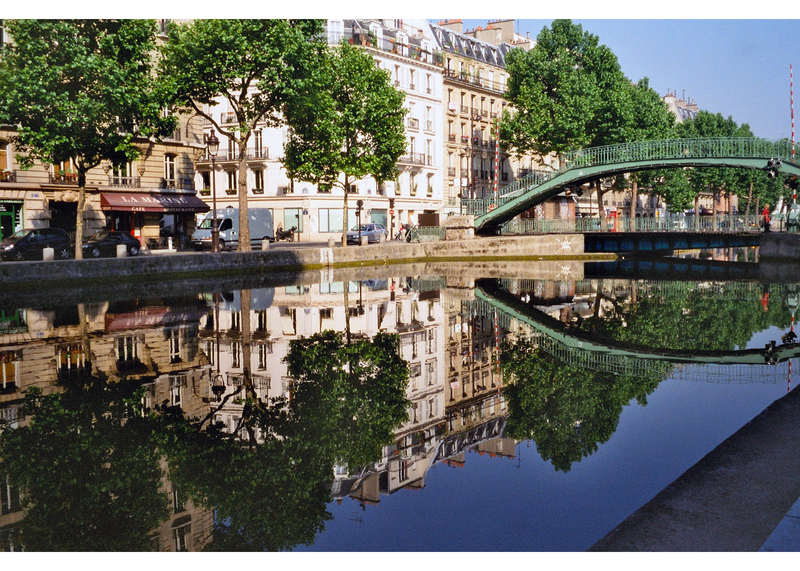 There are several itineraries, one of which takes you from La Villette to the Quai d’Orsay on the left bank. You will go through the many locks and hear their stories as well as the historical sites along the way. It’s more leisurely than the cruise on the Seine and you will enjoy the differents view of Paris. Several companies offer cruises along the canals and they may not take place every day so you need to check for itineraries, reservations and deals. Enjoy the summer and stay cool!